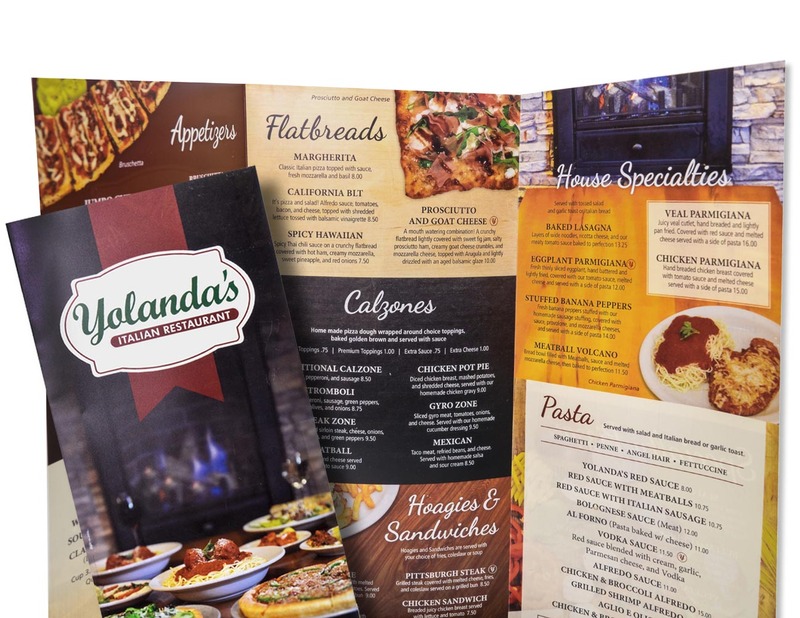 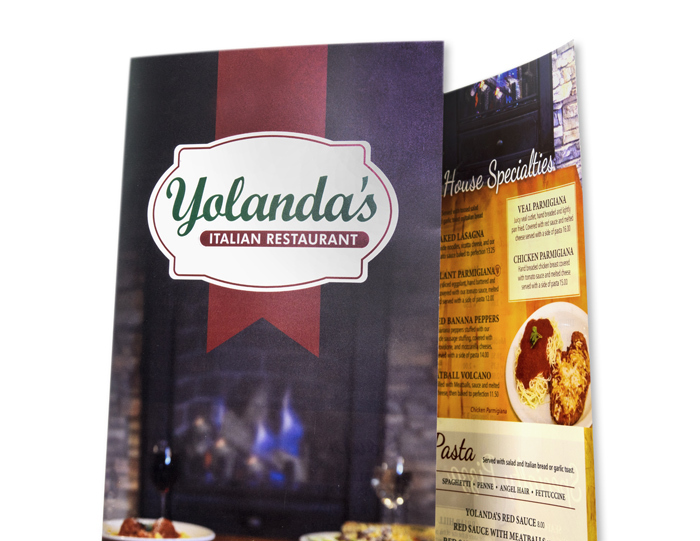 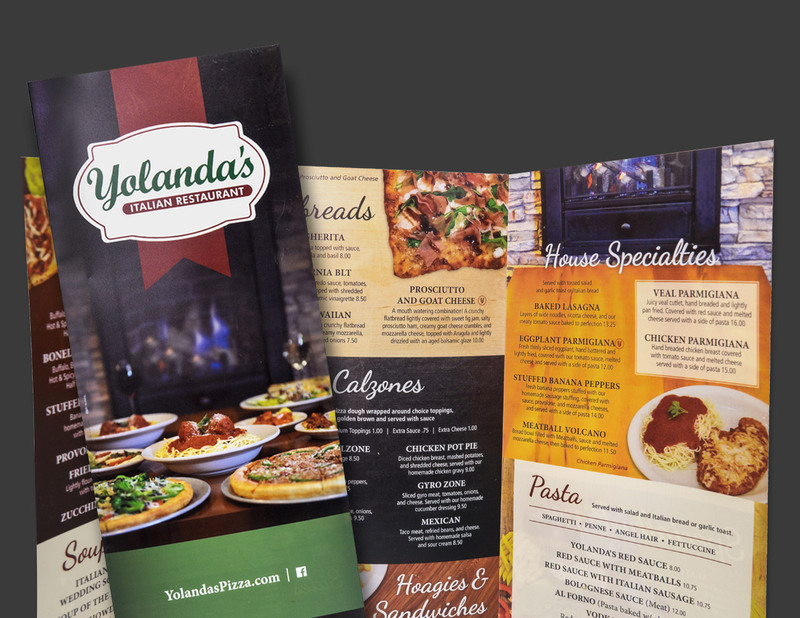 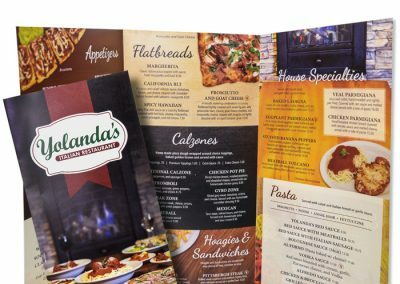 Our team has worked with the ownership at Yolandas previously on their new website and we were excited about the opportunity to create a new menu. 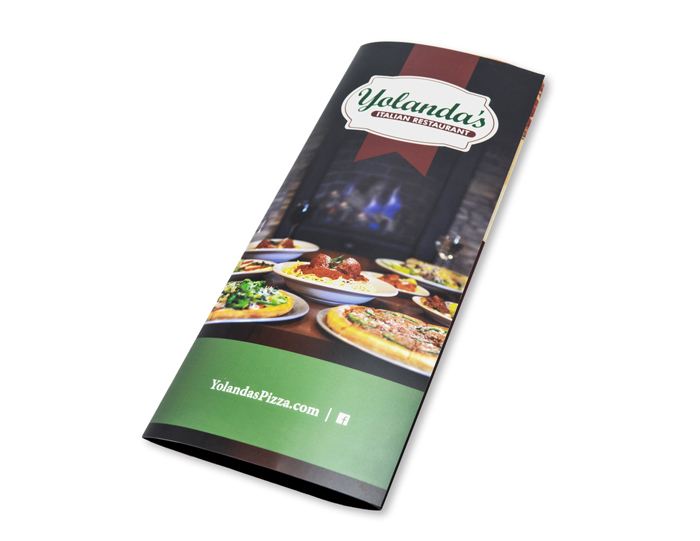 Ownership wanted a highly visual, yet organized menu that customers would enjoy browsing. 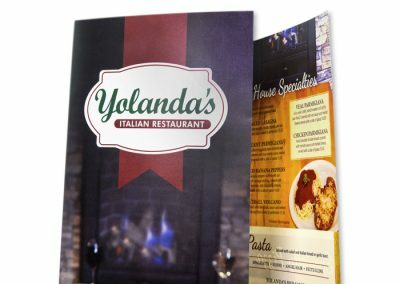 Our team took new photography, utilized various background textures as well as modern menu organizing techniques to create an exciting new menu. 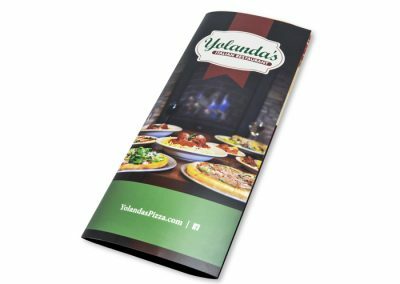 We then had it printed on waterproof paper and delivered to the stores.